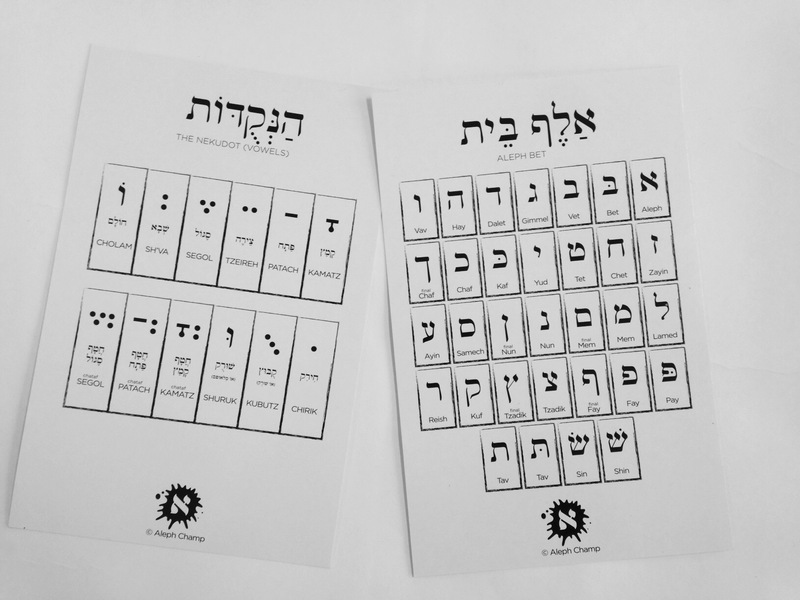 Have each student use their own Aleph Bet chart! 8.5 x 5.5 glossy card stock. Double sided; Aleph Bet on the front, Nekudot on the back.